DESCRIPTION: Up to 5mm across this wasp-induced gall is a hard and woody structure that has up to 5 rounded lobes. It starts off greenish in colour but when older becomes orange-brown. Mature galls are egg-shaped with a pointed tip. 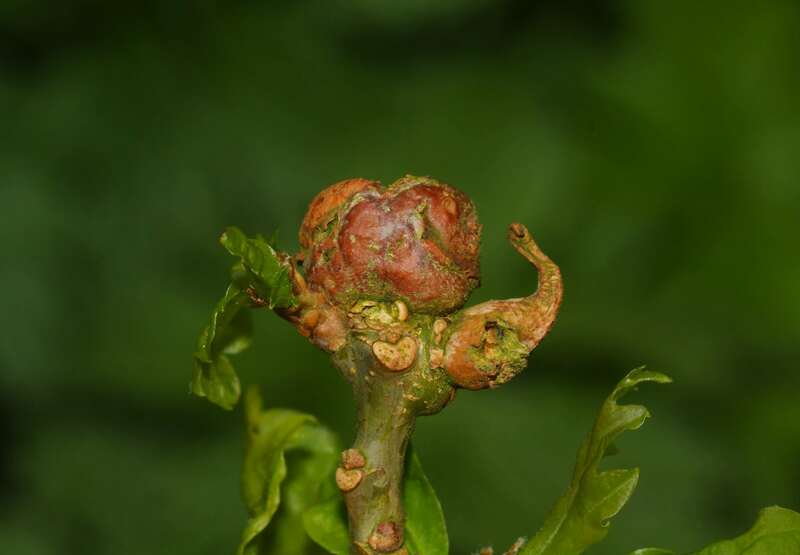 Galls take almost 12 months to fully mature and galls of the sexual genration sprout buds in late winter. DISTRIBUTION: Widespread and occasional throughout Britain. HABITAT: Found on the buds of oak trees.